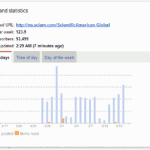 Is the RSS Feed of your WordPress Blog Working in all Major browsers? This morning one of my site visitors was kind enough to email me saying that the RSS Feed of my blog wasn't working on Internet Explorer and Google Chrome browsers. 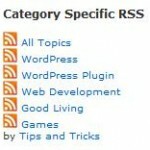 Internet Explorer is well known for its issues so I wasn't that alarmed but my hearth jumped as soon as I double checked the RSS feed … [Read more...] about Is the RSS Feed of your WordPress Blog Working in all Major browsers?